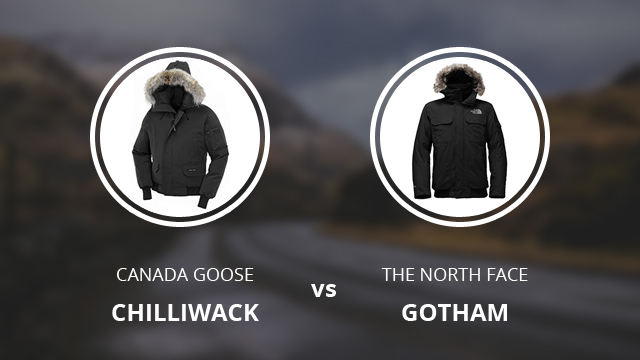 Canada Goose Chilliwack VS The North Face Gotham: Which One Is Better? 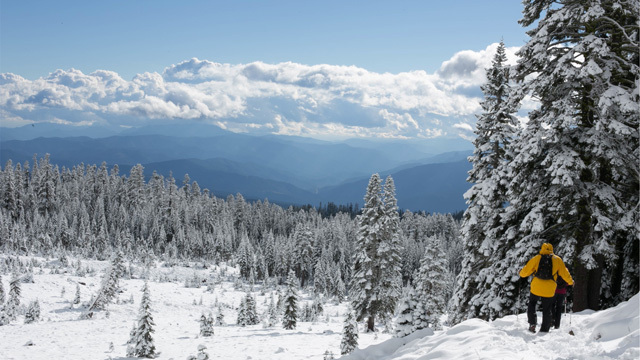 With temperatures still low, and in some places dropping further, the need for a good winter coat is much more immediate. 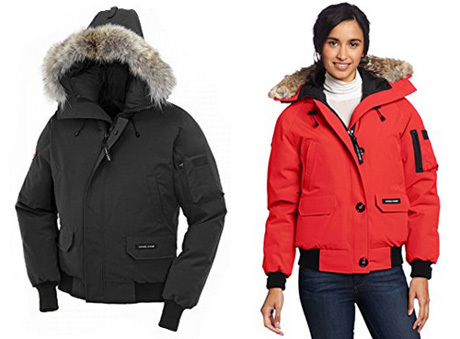 We have put together numerous selections that cover all of your needs and wants, and will continue to do so, surely, but we thought it would be best to now look at how certain jackets compare to each other. With that said, welcome to our newest format: Comparisons. Here we will be looking at different jackets, their specifics and then take a serious look at which one would best suit you, depending on how they differ from each other. To start things off, we have picked not only two high-end brands, but also two incredible jackets that are both highly recommended by bloggers and reviewers. 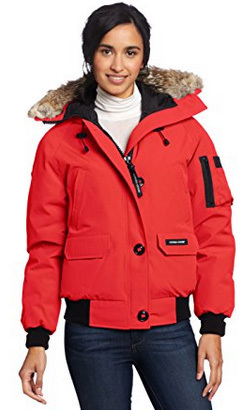 We are talking about Canada Goose’s Chilliwack jacket VS. 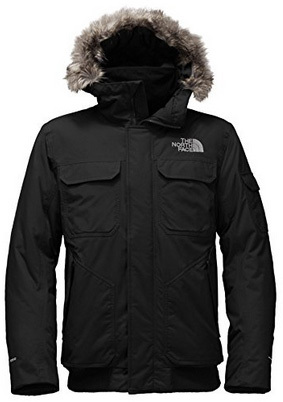 The North Face’s Gotham jacket. It will be an interesting comparison, as you will see, because as much as these jackets differ from each other, they are also very much alike in certain regards. Both are insulated with real Down, for example. The comparison format will be separated into specific paragraphs, which make it easier to get a better idea on each of them. Let’s start with the specifics of each, first. Chilliwack by Canada Goose is a bomber jacket made of 85% Polyester and 15% Cotton on the outside and lined with 100% Nylon on the inside. The insulation is provided by duck down with a fill power of 625. 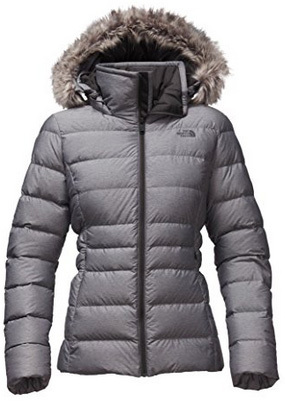 Both the inside and outside of the jacket are smooth, which is not too common with down-insulated jackets, as they typically tend to be quilted. The (very) high collar is hooded, which is adjustable on the sides by using draw cords. To keep the face protected against the wind, especially in rain or snow, there is natural Coyote fur trim lining the hood. Both sleeves, along with the hem are elasticized, making the jacket completely closed-off from the elements and low temperatures. There are also numerous pockets both on the inside and outside of the jacket, giving plenty of space for your belongings. The side pockets are lined with fleece in order to quickly warm up the hands, especially if you are not fond of wearing gloves. It is a regular fit jacket and hip-length. Now, when it comes to differences between the men’s version and the one for women, aside from some appearance details, they are quite similar in performance and material. The sleeve cuffs on the women’s jacket are longer and the storm placket is buttoned, for example. Other than that, they perform identically, and are similarly warm and comfortable. Gotham is a 100% Nylon jacket on the outside and lined with 100% Polyester on the inside. The insulation is 550-fill power goose down, which is responsibly sourced. We will look at men’s and women’s versions separately as they are quite different from each other. Starting with appearance, the men’s version is smooth and has a sturdier look about it, with a buttoned storm placket and numerous outer pockets. The women’s version is quilted and comes with a water-resistant, uncovered main zipper. When it comes to weather resistance, the one for men is completely waterproof and windproof, due to the HyVent lining on the outside. On the other hand, the women’s version is water-repellent and wind resistant. They both have hooded collars, which are high and the hood is adjustable. They are also both lined with faux fur trim, to provide protection for the face. The women’s version is slightly bulkier than the one for men, and does not come with an elasticized lower hem. Despite that, when it comes to warmth, they are identical due to having the same insulation. With technicalities of each out of the way, it’s time to see how they compare. While to some the appearance of a jacket is not that important, it’s still necessary to look at how they differ in looks and especially how they wear. Gotham is a slimmer jacket as compared to Chilliwack, which is fluffier and bulkier. This difference is due to the insulation, since Chilliwack isn’t quilted and it is also made of thicker fabric. You might see the thicker fabric as a plus, but isn’t necessarily so. Because duck down is sturdier and not as soft as goose down, it doesn’t compress as much when between thick layers of fabric, therefore keeping its abilities despite the lining. We will get more in-depth about goose vs. duck down in a different paragraph. 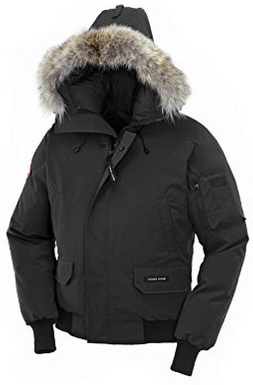 The fur trim is also different as Gotham‘s is detachable, while Chilliwack‘s is not. They are the same length and both men’s versions come with elastic hems and sleeve cuffs, so they wear roughly the same. This is not the case with women’s versions as Chilliwack is bulky, fluffy and with elasticized cuffs and hem. Gotham is quilted, slimmer and with a cut waist, which makes it look quite elegant. When it comes to down, the term “fill power” is always included in the description. If you are not familiar with what it stands for, it simply indicates the quality of the down. Higher fill power means a higher quality down, which in turn means less is required to provide the same level of warmth as down with lower fill power. Also, before we get into the jackets’ actual comparison on insulation, goose down is better and more efficient than duck down for providing warmth. But on the other hand, it is not as sturdy and resistant to humidity. This is a key factor because wet down is rendered practically useless, which is why some brands are turning to synthetic insulation. Synthetic insulation performs closely to down, but it cannot beat its ability to provide warmth. Now, Chilliwack has 625-fill power duck down, whereas Gotham has 550-fill power goose down. Well, this is confusing. One has higher quality down, while the other one has goose down. What does this mean in the ability to provide warmth? Well, they are the same in this case. Both are equally warm, since the higher quality down of Chilliwack is equated by the goose down on Gotham, leaving us with an even score. Keep in mind though, that size is important. An ill-fitting jacket will let the cold and wind get through, so down won’t be of much use in that case. That’s why you need to make sure that the jacket you wear fits properly. Gotham for men is 100% weatherproof, as mentioned previously. This is due to the HyVent lining that also makes the jacket breathable. Chilliwack is water-resistant, as is Gotham for women. They have been treated with a water-repellent coating that helps keep water out, to a certain extent. So beware of that. On the plus side, they are all highly wind-resistant, which is a lot more important as cold winds are quite harsh and dare we say, aggressive. This part might not always be included in future comparisons, but since these jackets are made of real down and real fur is also included, there are some among you who mind it. First of all, both jackets are made of responsibly sourced down, which guarantees humane treatment of the birds. As for the fur trim, Chilliwack’s real Coyote fur might put off some people, as opposed to Gotham’s synthetic fur. That’s up to you to decide which option might be best. We are here for the technicalities and when it comes to performance, unfortunately, nothing beats real fur. It is fluffier, it is denser, it is softer and it provides much better protection than synthetic fur. 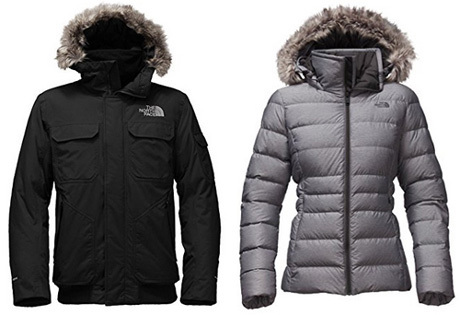 However, The North Face and other high-quality brands who use synthetic fur, they pick the best of the best. So is the case with Gotham, whose fur is not only quite close to Chilliwack‘s in performance, but it is also detachable. This is also a differing point, as Chilliwack is made in Canada and comes at a very high price. The brand in general makes less jackets as opposed to The North Face, due to the time, effort and cost of their products. Gotham, on the other hand, is made in China. Alarm bells might have gone off for some, but it’s The North Face we are talking about, so keep in mind their reputation for high quality and there’s nothing to worry about. The price is nearly half that of Chilliwack’s, but the difference in materials easily explains that. In conclusion, these are two very similar jackets in performance, with Canada Goose’s Chilliwack having the upper hand in durability and The North Face’s Gotham being more affordable. With that being said, we hope you enjoyed this first comparison and we will see you again in the next!